Come check out the latest items to hit the market. Amazon has some of the best deals around and you wont get a lower price! So, come shop here and show your support for Rant4u, and remember all profits will be donated to charity. For one it introduced some of the most leapfrogging technology in the digital world. And if a Mac outdoes itself, then it’s really upping the ante which other computer companies could only hope to rival. This Apple product boasts of 5K display and brighter display with its 5120 x 2880 resolution. The product offers displays at 218 pixels per inch which is a total of 14.7 million pixels for the whole screen. According to Wallstreet OTC, the 5K display-iMac has 67 percent more pixels as compared to the 4K television screen, and is four times better than the pixels offered by the previous 27-inch iMac. This translates to superb image quality and details. Apple’s marketing executive Philip Schiller said during the keynote event that the 5K Mac is the world’s highest-resolution display. Apple’s investors obsess over early iPhone sales like Hollywood producers tracking opening ticket sales for a blockbuster movie. A big weekend is usually a healthy predictor of consumer demand for the holiday season — not just for Apple, but for the entire consumer electronics industry. 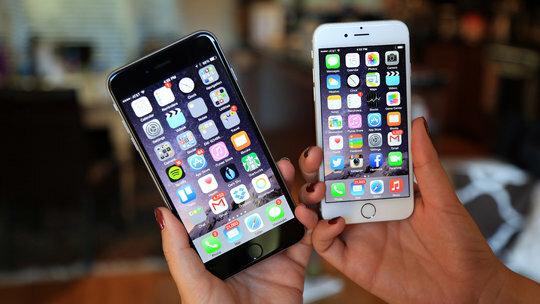 Those Apple watchers can rest easy because the company’s new iPhone 6 and iPhone 6 Plus are no bust. Apple said on Monday that it had sold 10 million units of its new and bigger iPhones over the weekend, up from thenine million iPhones it sold last year in the first weekend of sales for the previous generation of iPhones. Microsoft better than Facebook, Twitter; Android cooler than Apple, according to TECH survey. Microsoft Inc. has a reason to smile. A Reuters/Ipsos poll has just revealed that under half of 853 respondents age (18- 29) thought that Microsoft is much better now than it was 1 or 2 years ago. Microsoft garnered 50 Percent votes. Only 42% of the youth thought that Facebook is better than it was in the past. On the same criteria Twitter scored 47%. Microsoft has recently focused on its marketing and product images. Its Windows interface in Surface tablets has found its share of admirers. Most of the users were happy with the consumer oriented push of Microsoft. The Reminders app is one of the new features on OS X that first appeared on the iOS platform. Apple has rolled out its latest operating system for Mac computers–Mountain Lion. The 4GB software update can be downloaded from the Mac App Store for US$19.99 and will come preinstalled on new Mac systems. Also known as OS X 10.8, it is an incremental update that, nevertheless, boasts 200 new features, many of which will be familiar to users of Apple’s iOS devices. They include Notifications, improved iCloud integration, Messages app and Game Center. You can read CNET’s full review of Mountain Lion here, which found it a “worthy upgrade for the lowered price of US$19.99”. People familiar with the matter are telling the WSJ’s Juro Osawa that Apple’s next iPhone model could be thinner and lighter than Samsung’s OLED-screen smartphones. What other features will Apple offer to try to stay on top? Apple Inc.’s AAPL +0.00% next iPhone, currently being manufactured by Asian component makers, will use a new technology that makes the smartphone’s screen thinner, people familiar with the matter said, as the U.S. technology giant strives to improve technological features amid intensifying competition from Samsung Electronics Co. 005930.SE +1.39% and other rivals. Japanese liquid-crystal-display makersSharp Corp. 6753.TO -5.69% and Japan Display Inc.—a new company that combined three Japanese electronics makers’ display units—as well as South Korea’s LG Display Co. LPL +1.13% are currently mass producing panels for the next iPhone using so-called in-cell technology, the people said. 13-inch Retina MacBook Pro on the way? How a new 13-inch MacBook Pro might look next to its big brother. One of the things we noted was not announced by Apple at this year’s Worldwide Developers Conference was a 13-inch MacBook Pro with a Retina screen. But chatter in the supply line suggests that such a device is almost certainly on its way. DisplaySearch, which noted that the new MacBook Pro’s 15.4-inch Retina display was being manufactured months ago, says that the 13.3-inch version just wasn’t quite ready to go at launch. But it will come later in the year, and probably in greater quantity than the 15-inchers, the research firm says. The resolution is expected to be 2,560-by-1,600, somewhat less than the 2,880-by-1,800 on the new models but still twice the pixels in both directions as today’s 13.3-inch MacBook Pros. But manufacturing limits caused Apple to only be able to launch one at mid-year. VoIP has long been a thorn in the side of CSPs, losing them valuable calling billable minutes and clogging up the network with additional data. The massive success of Skype has seen several attempts to duplicate the model, with varying success, but this is the first dedicated app we’ve seen from a telco. TU Me comes from Telefonica and is out now on iPhone via the App Store around the world. It will be packaged or promoted with the company’s various brands including Telefonica, Movistar, Vivo and O2, but can be used on any network. Rather than just emulate Skype, it comes with a full history timeline, adds social sharing and will be updated regularly with new features to create a compelling offering. The app comes from the company’s TU division which was created just six months ago to create better social experiences for users. The cashless society is coming: American consumers now carry more than 750 million credit cards, while paper currency production continues to decline. In fact, the U.S. Bureau of Printing and Engraving produced fewer $1 and $5 bills in 2010 than at any other time in the last 30 years. Related: Will This Payment App Make You Ditch Your Wallet? So why do so many small businesses still refuse to take plastic? After all, the old excuses–excessive transaction fees, hidden costs, cumbersome processing systems–no longer apply. Credit goes to the emergence of new mobile payment applications that enable virtually anyone with a smartphone or tablet to accept credit and debit cards anywhere, anytime. The best known among them, Square, generates more than $4 million in transactions each day. 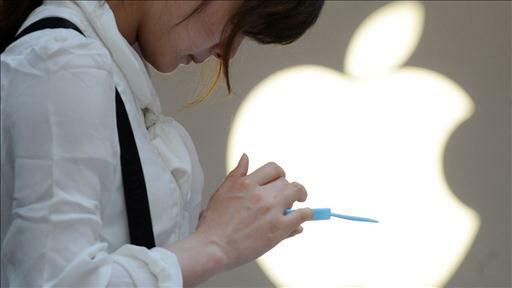 Apple customers are more at risk from malware now because of their misconception that their iDevices and Macs are secure and because of Apple’s poor attitude to security, according to experts. David Emm, senior security researcher at Kaspersky Lab told The Reg that Apple had cultivated the image of the Mac as intrinsically safer than PCs and now that Macs were under attack from bot armies like the Flashback Trojan, the fruity firm would have to change its attitude. Because Mac users have long believed that their computers are safe from malware – and Apple fostered this belief in ads like the 2006 one that compared the healthy Mac to the sick PC – they are intrinsically more at risk compared to wary Microsoft users. “Even when Apple added signature detection to Mac OS, in the form of it’s ‘XProtect’ module, it was done quietly, without any sort of fanfare,” says Emm. Eugene Kaspersky, founder and CEO at the Lab, told Computer Business Review last week and confirmed to The Reg that Apple was about ten years behind Microsoft in terms of security.